Callout Update. 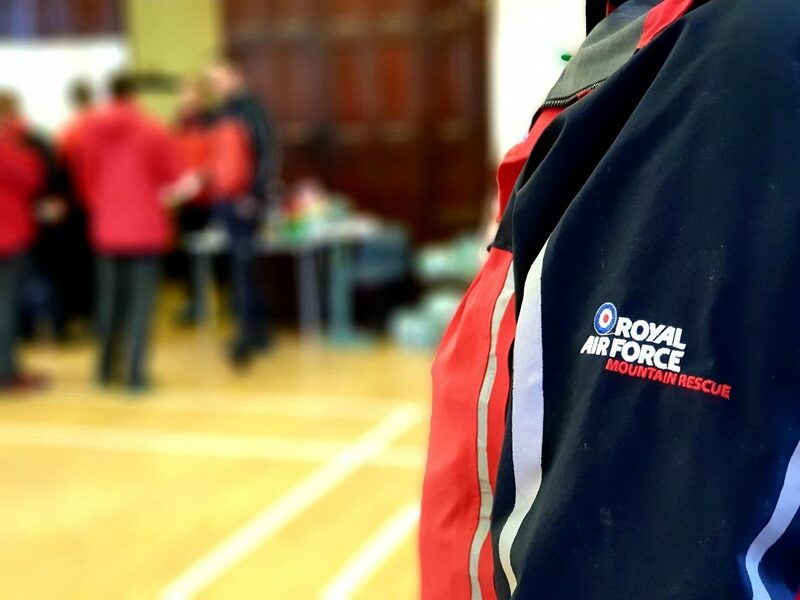 The RAF Lossiemouth MRT troops were on their way back to Lossie on Sunday night, when they received a request from Police Scotland to assist in a search for a missing person in Forres. With a limited amount of daylight and a cold night forecast, the search was a matter of urgency and as the troops were en-route to Lossie there was very little delay in getting on task. 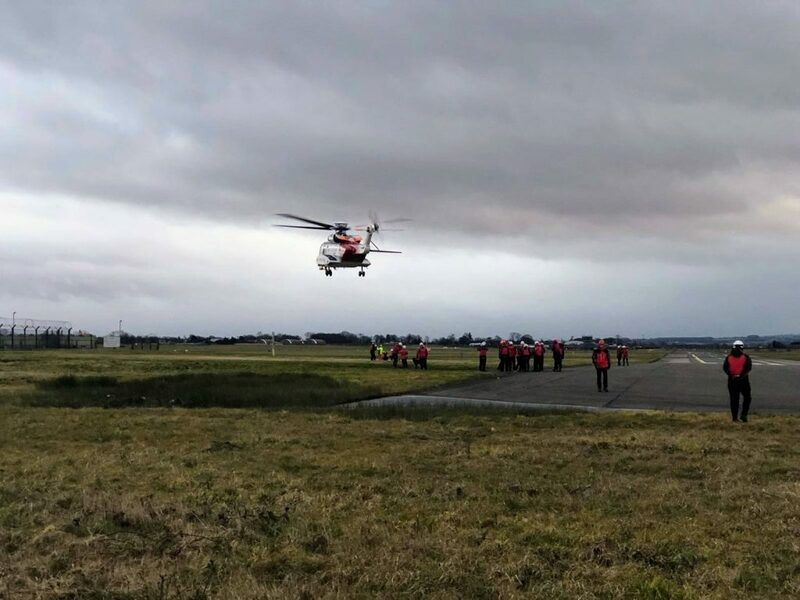 A hasty search was planned with a moorland and farmland selected as the team’s search area. Thankfully, the missing person, although disorientated and exhausted, managed to make contact with Police Scotland and was able to describe their location and was rapidly recovered safe and well. 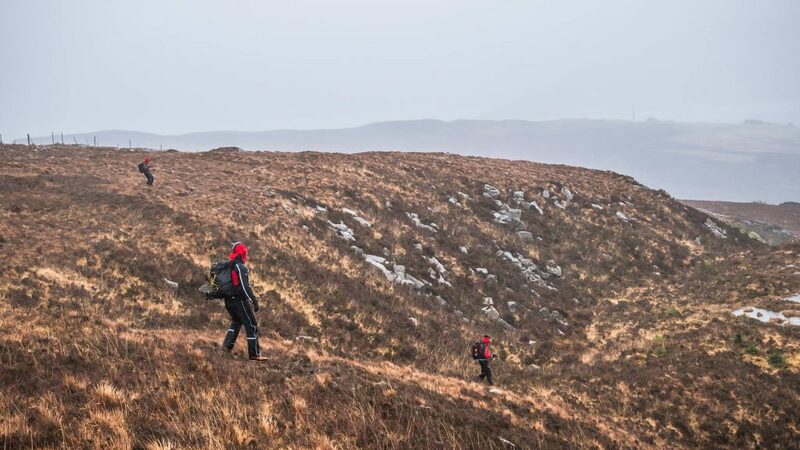 Another good callout for the Mountain Rescue Service, where even after a weekend of training demonstrates the need for the troops to be physically and mentally prepared for a callout at all times. 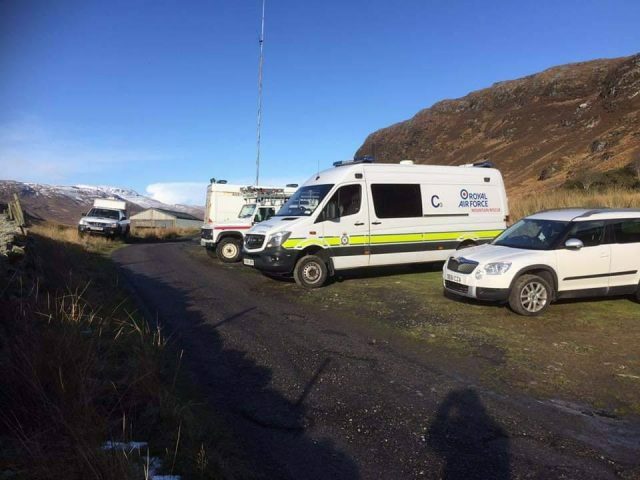 Last week the RAF Lossiemouth MRT troops assisted Skye MRT and various other agencies in the search for a missing person on the Isle of Raasay. The Lossie troops spent a full day on the ground before they returned to base with no sightings of the missing person. Callout – 4 Apr 19, Tryfan. It was full-on winter conditions as the RAF ValleyMRT troops responded to assist Ogwen Valley Mountain Rescue Organisation with a job on Tryfan yesterday. A male walker had fallen 15 metres whilst descending the west face, but thankfully had maintained consciousness to be able to notify the Police. Due to the weather conditions, Rescue 936 were unable to get high enough to locate the casualty, but made several lifts to get the Ogwen and Valley troops on to the hill. Once located, the casualty was treated for his injuries and packaged ready for a stretcher lower. 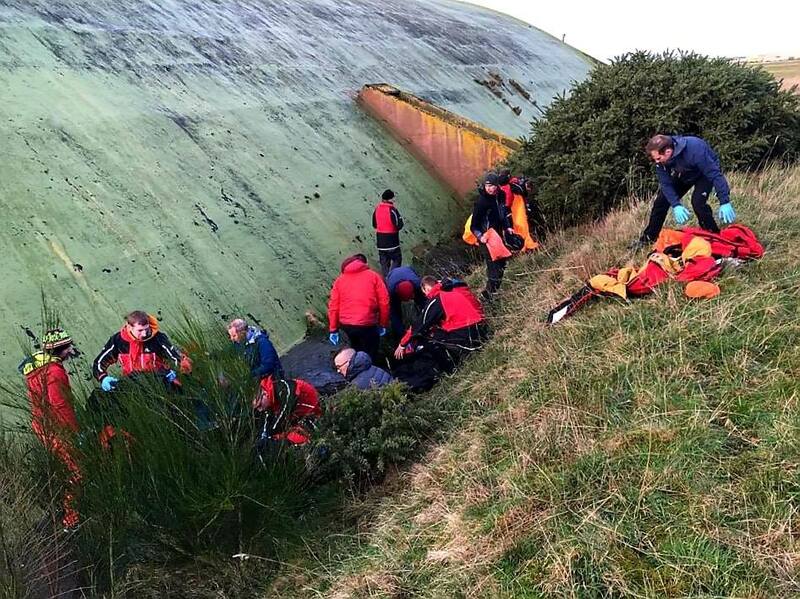 Several lowers were made to get him down to the edge of Llyn Bochlwyd, where Rescue 936 were able to land on, at which point he was put on board the aircraft for transfer to hospital. Callout – 4 Apr 19, Tryfan. It was full-on winter conditions as the RAF Valley MRT troops responded to assist Ogwen Valley Mountain Rescue Organisation with a job on Tryfan yesterday. A male walker had fallen 15 metres whilst descending the west face, but thankfully had maintained consciousness to be able to notify the Police. Due to the weather conditions, Rescue 936 were unable to get high enough to locate the casualty, but made several lifts to get the Ogwen and Valley troops on to the hill. Once located, the casualty was treated for his injuries and packaged ready for a stretcher lower. Several lowers were made to get him down to the edge of Llyn Bochlwyd, where Rescue 936 were able to land on, at which point he was put on board the aircraft for transfer to hospital. Whensoever. 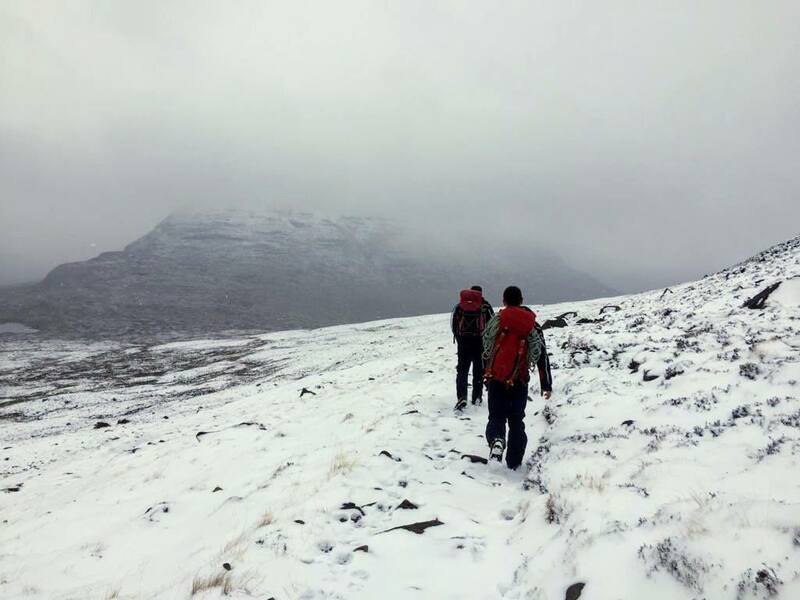 There was a return to a historically important location in the history of the RAF Mountain Rescue Service for some of the RAF Lossiemouth MRT troops on the weekend as they conducted a day’s training on Beinn Eighe. 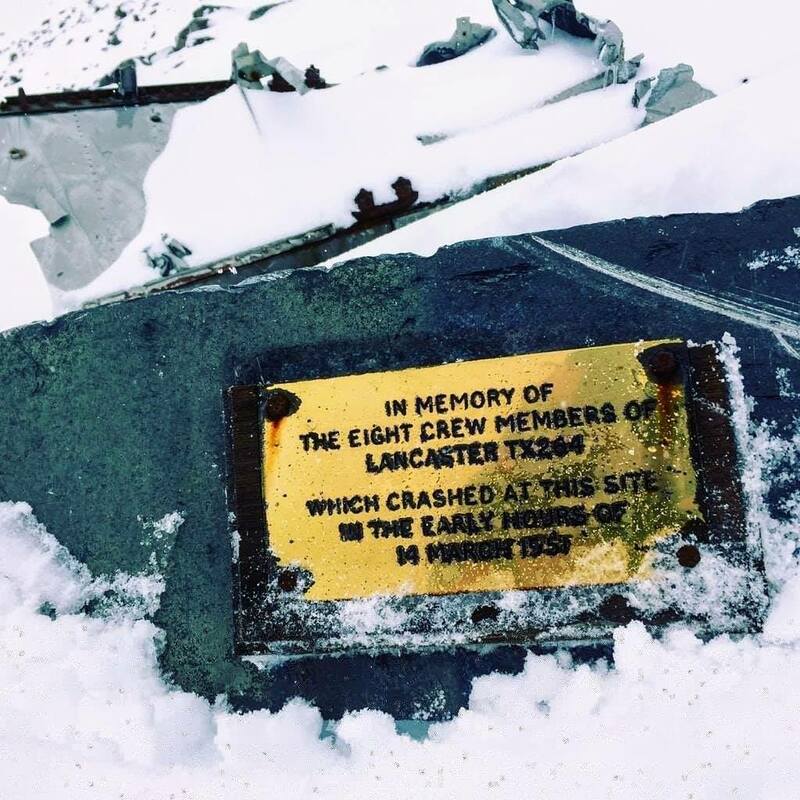 On the 14th March 1951, it was the scene of a terrible tragedy where 8 Service personnel from RAF Kinloss lost their lives when their Lancaster crashed near the summit. Due to the remote location of the crash site and the harsh winter conditions, it took days for the wreckage to be found. 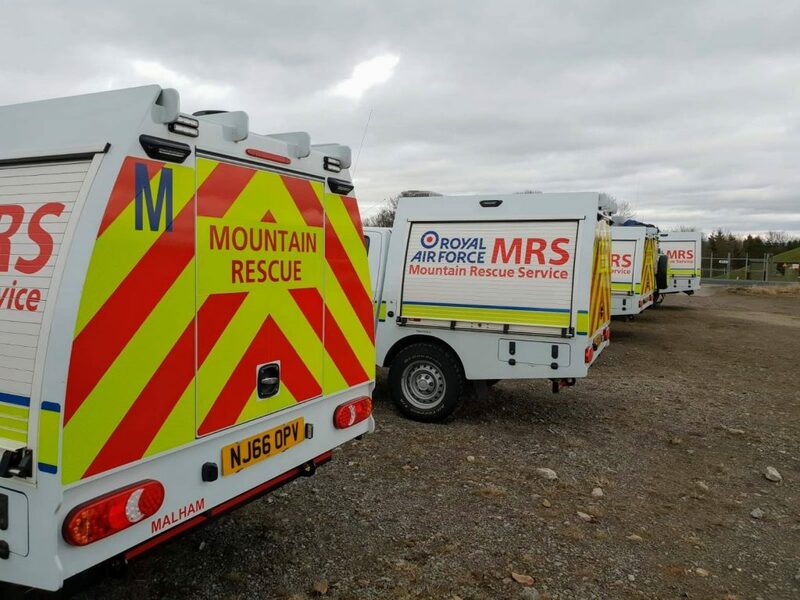 The subsequent inquiry was a turning point for the Mountain Rescue Service as the Air Ministry directed that training and equipment of the RAF MRTs should be dramatically improved, enabling them to be better trained and better equipped to operate in the most hazardous conditions. 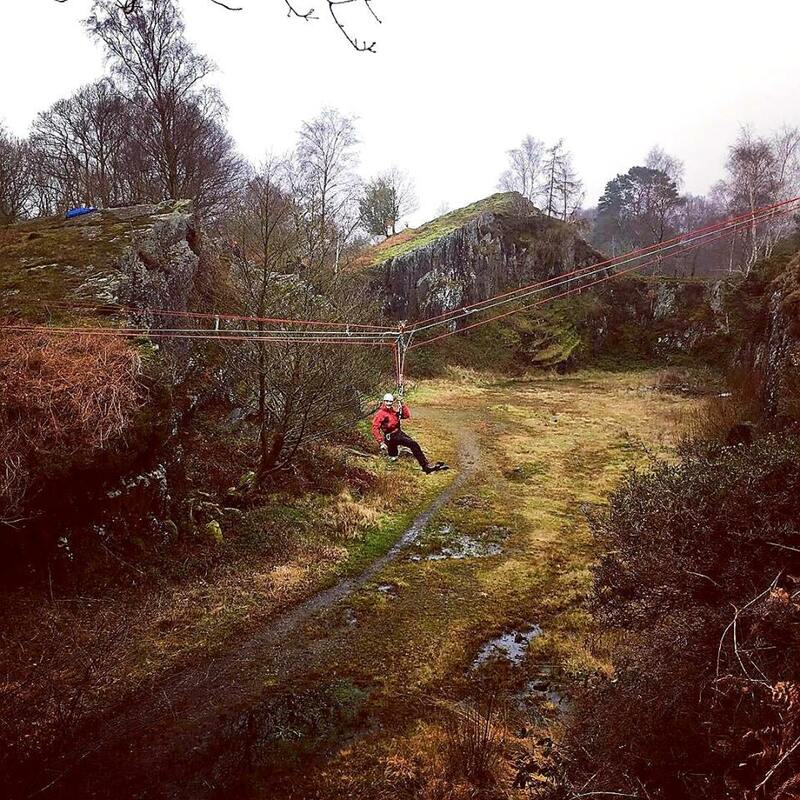 Callout – 11th March 19. The RAF Valley MRT troops responded to a shout for assistance from Llanberis Mountain Rescue Team with an ongoing rescue of an injured walker on Yr Wyddfa (Snowdon). With the casualty located on the Zig-Zags just below Bwlch Glas, Rescue 936, through some tremendous flying in challenging conditions had made a couple of uplifts and had dropped the Llanberis MRT members at Clogwyn Station. 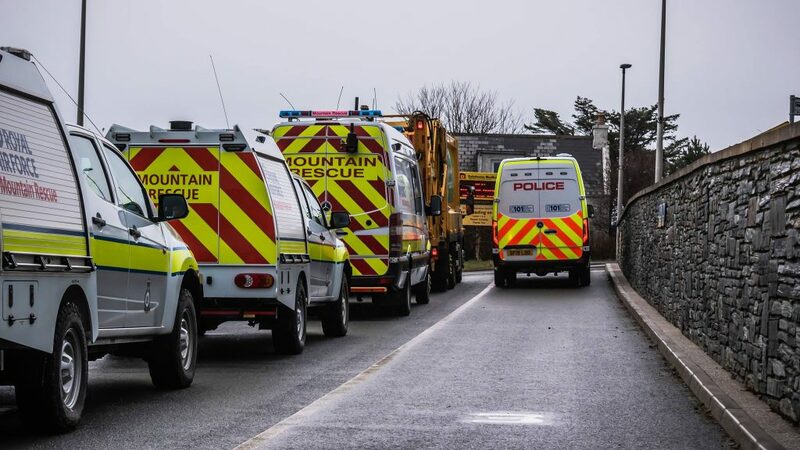 A 3rd uplift which had 3 members of Aberglaslyn Mountain Rescue Team on board saw the helicopter have to make a quick return to Dinas Dinlle due to a mechanical fault, but the 3 would still find their way onto the hill. Once in Llanberis, the RAF Valley MRT troops made their way up the train tracks with the aim of linking up with the casualty party on their way down. Battling ferocious winds, with gusts in excess of 100mph, the troops were taken off their feet on several occasions. The link-up with the casualty party was made at the underpass just above Clogwyn Station, at which point the RAF Valley MRT troops assisted with the stretcher carry-off. An unbelievably challenging rescue for all involved. 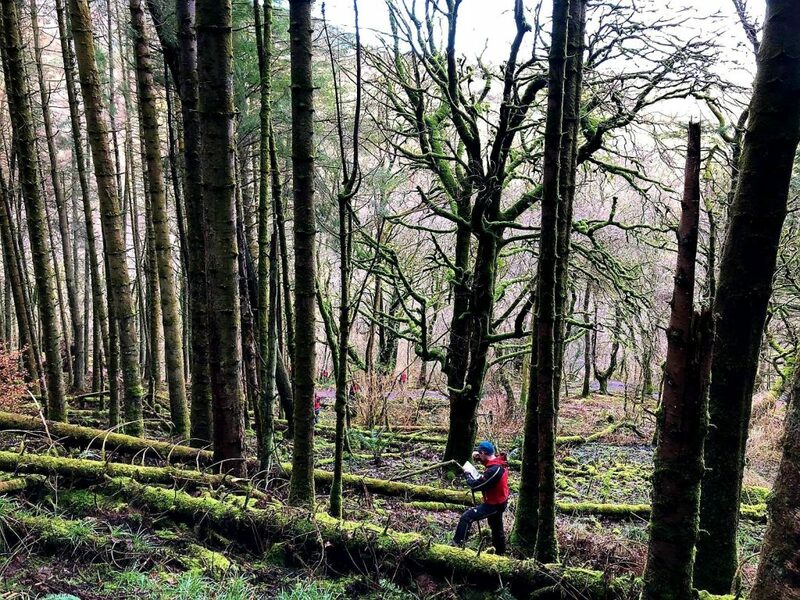 Callout – 11th March 19. The RAF Valley MRT troops responded to a shout for assistance from Llanberis Mountain Rescue Team with an ongoing rescue of an injured walker on Yr Wyddfa (Snowdon). With the casualty located on the Zig-Zags just below Bwlch Glas, Rescue 936, through some tremendous flying in challenging conditions had made a couple of uplifts and had dropped the Llanberis MRT members at Clogwyn Station. A 3rd uplift which had 3 members of Aberglaslyn Mountain Rescue Team on board saw the helicopter have to make a quick return to Dinas Dinlle due to a mechanical fault, but the 3 would still find their way onto the hill. Once in Llanberis, the RAF Valley MRT troops made their way up the train tracks with the aim of linking up with the casualty party on their way down. Battling ferocious winds, with gusts in excess of 100mph, the troops were taken off their feet on several occasions. 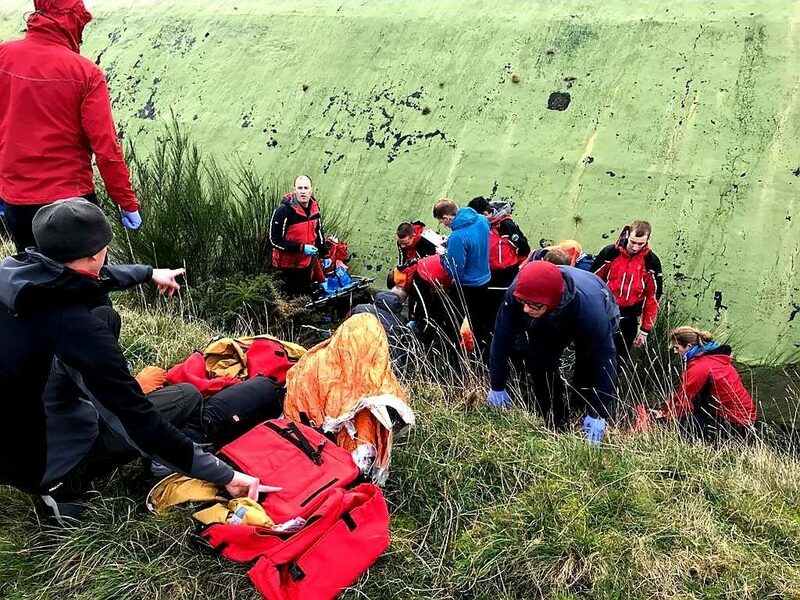 The link-up with the casualty party was made at the underpass just above Clogwyn Station, at which point the RAF Valley MRT troops assisted with the stretcher carry-off. An unbelievably challenging rescue for all involved. Whensoever. 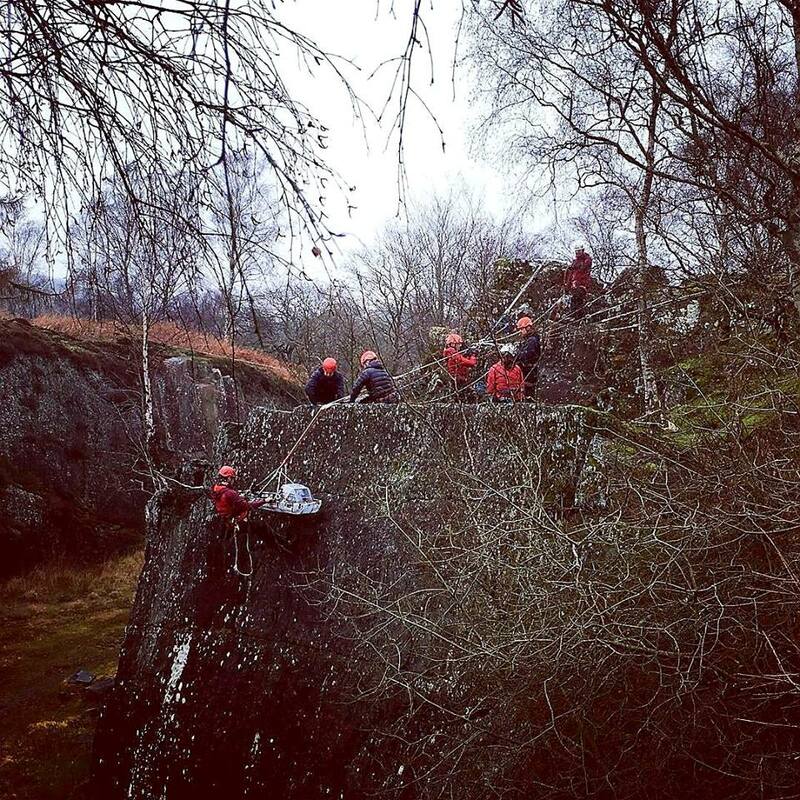 Callout Update – Saturday, 9th March. 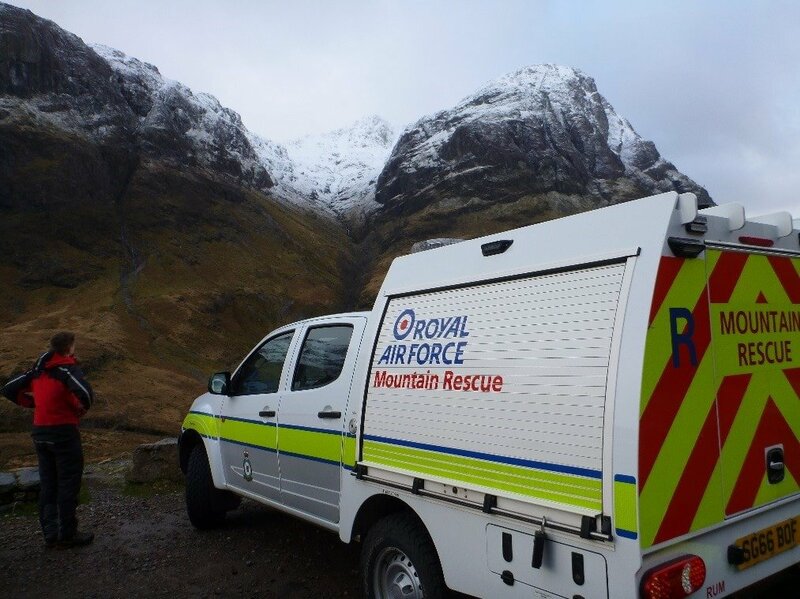 The RAF Lossiemouth MRT troops responded to a request from Police Scotland to assist Glencoe Mountain Rescue Team with an ongoing search for 2 missing climbers thought to be in Coire nan Lochan. 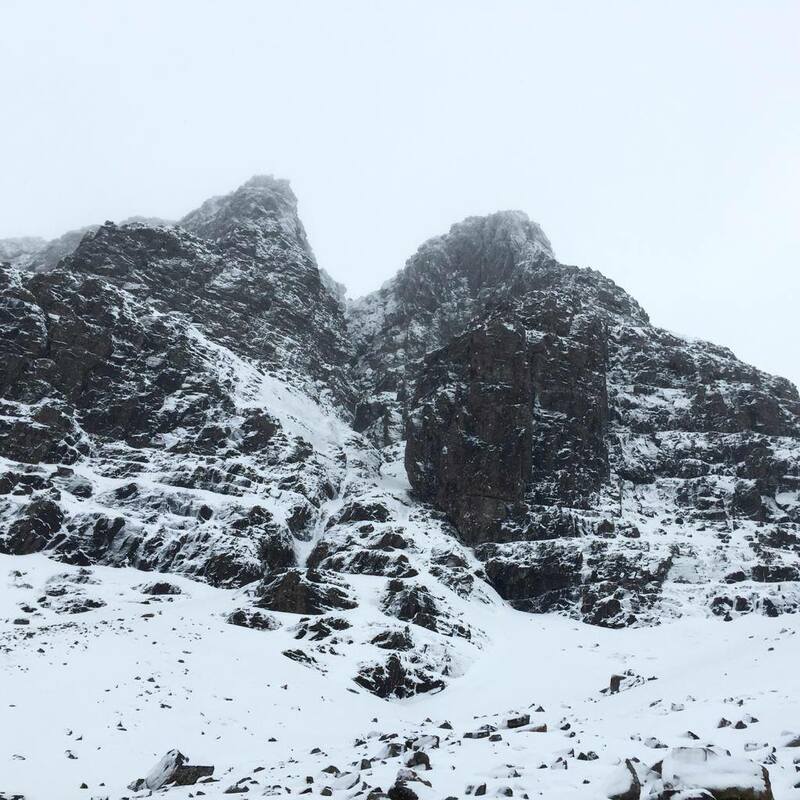 The 2 were found in Coire nam Beith, with one of the climbers in a critical condition. 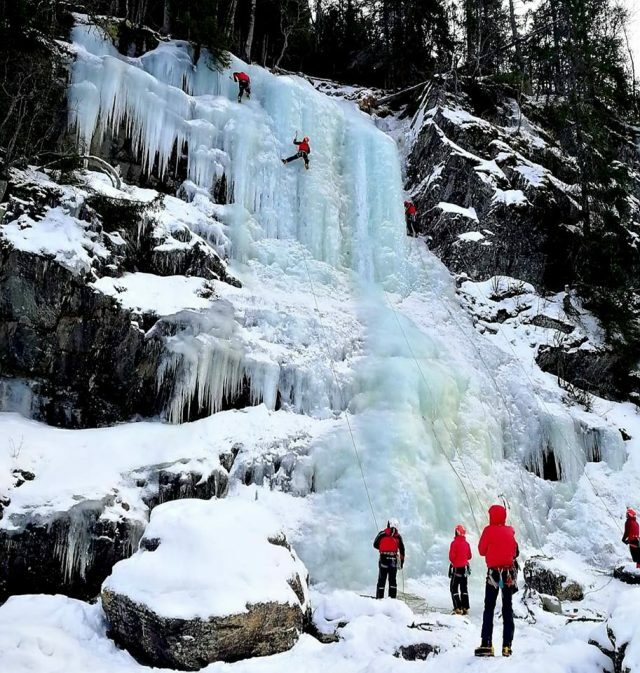 Both were eventually recovered off the hill, but unfortunately the news came through on Sunday that one of the climbers had died from his injuries. Our thoughts go out to his family and friends. 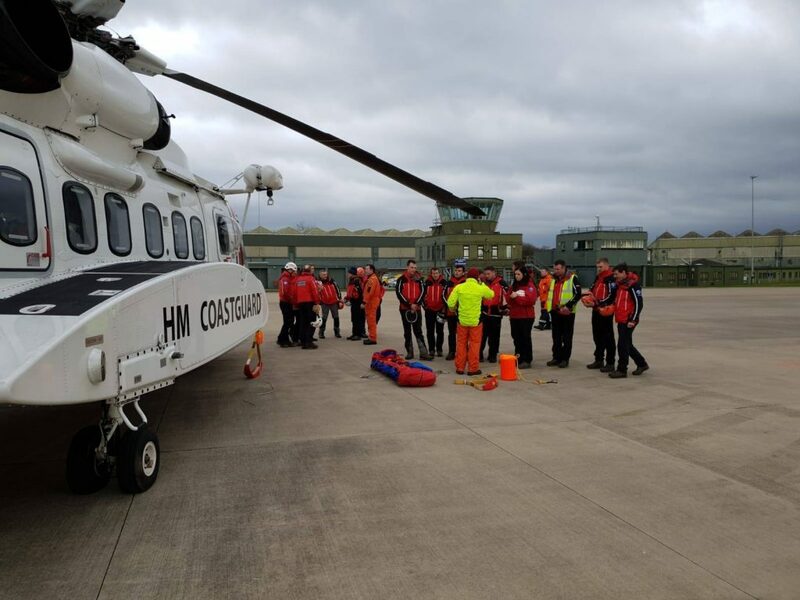 This was a large scale incident where the RAF Lossiemouth MRT troops had to use a large variety of skills and knowledge, working with multiple outside agencies, all in challenging terrain and weather conditions. The team also responded to another callout on Saturday evening, this time to assist Lochaber MRT with an incident of crag-fast climbers on Ben Nevis. 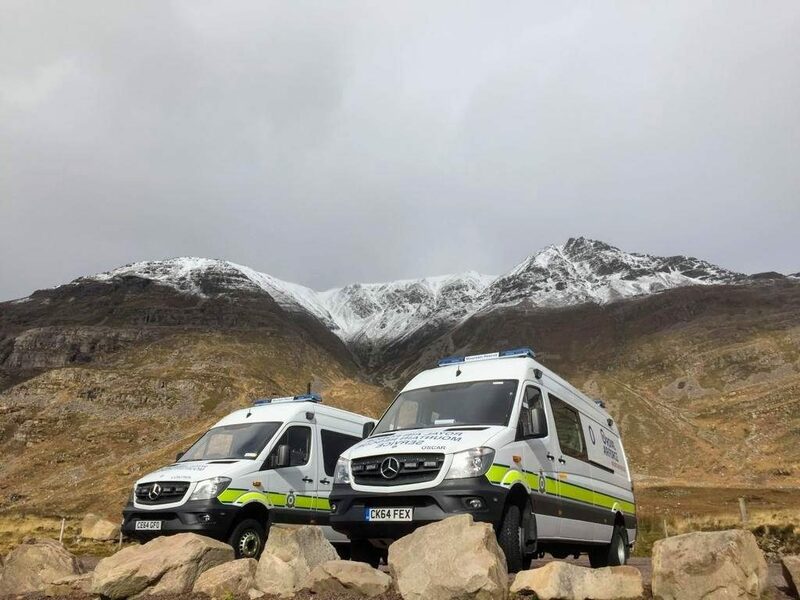 However, with the team on stand-by at Lochaber base, the incident was successfully dealt with by an experienced mountaineer who happened to be in the area. 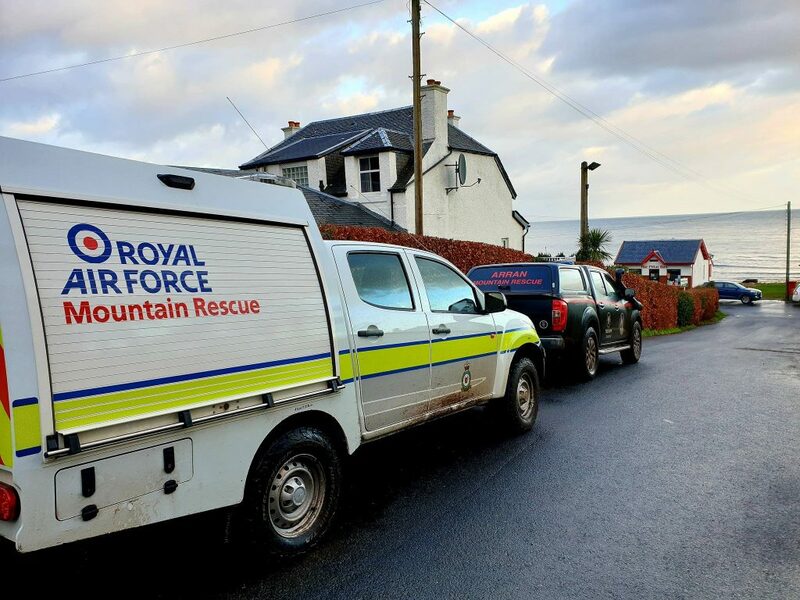 MRS Callout Updates – 28 Feb 19, the RAF Lossiemouth MRT troops responded to a request by Police Scotland to assist Kintail Mountain Rescue and SARDA in the search for a missing hillwalker in the Killian area. The missing walker was located by Rescue 948, but unfortunately, had succumbed to his injuries and was recovered off the hill by the MRT troops involved. Our thoughts go out to his family and friends. 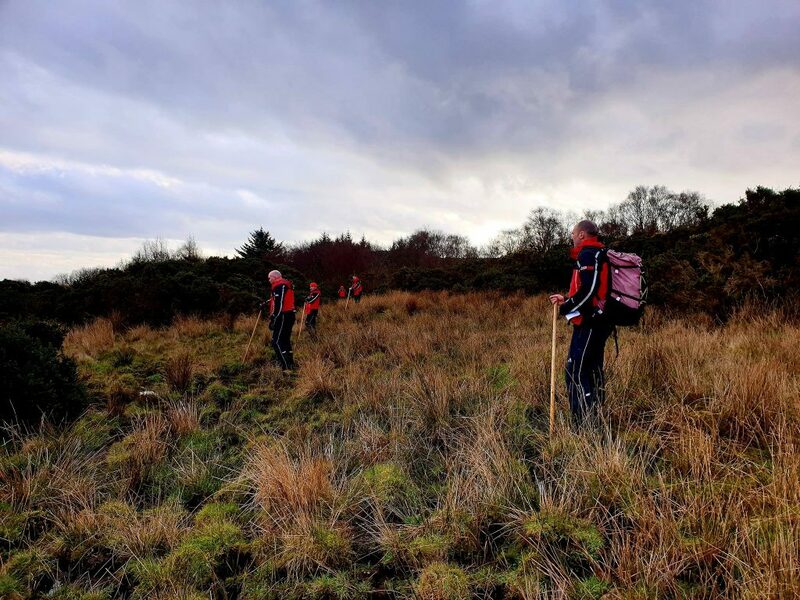 1 Mar 19 – a callout for the RAF Leeming MRT troops as they received a request for assistance from North Yorkshire Police in the ongoing search for a missing 81 year old male. Following a full day of searching in the Spofforth area, the news came through that he had been located safe & well. 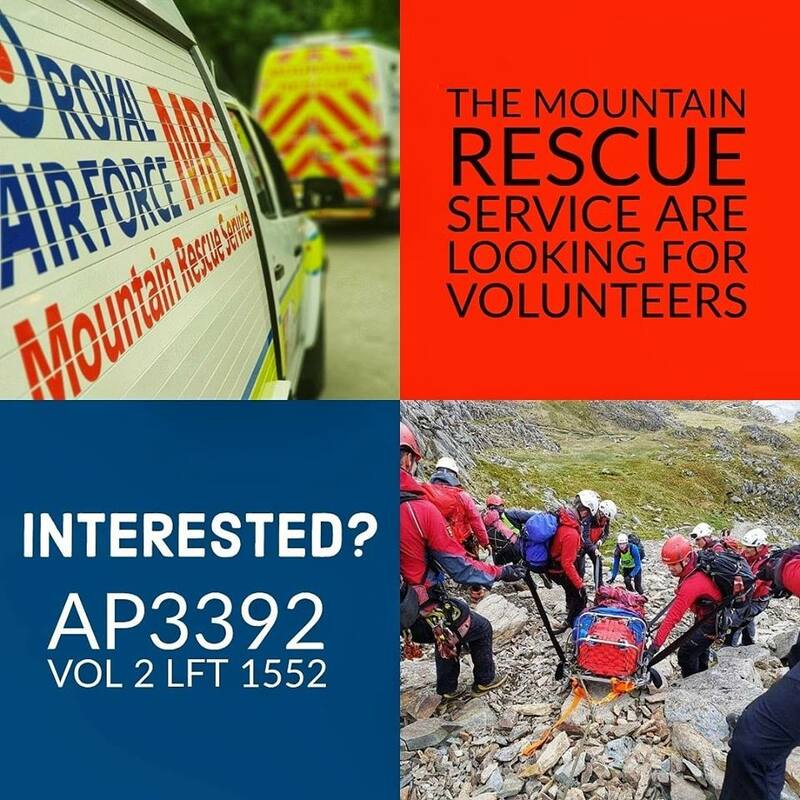 The Royal Air Force Mountain Rescue Service (RAF MRS) are always looking for volunteers, be it as Full-Time or Part-Time members. 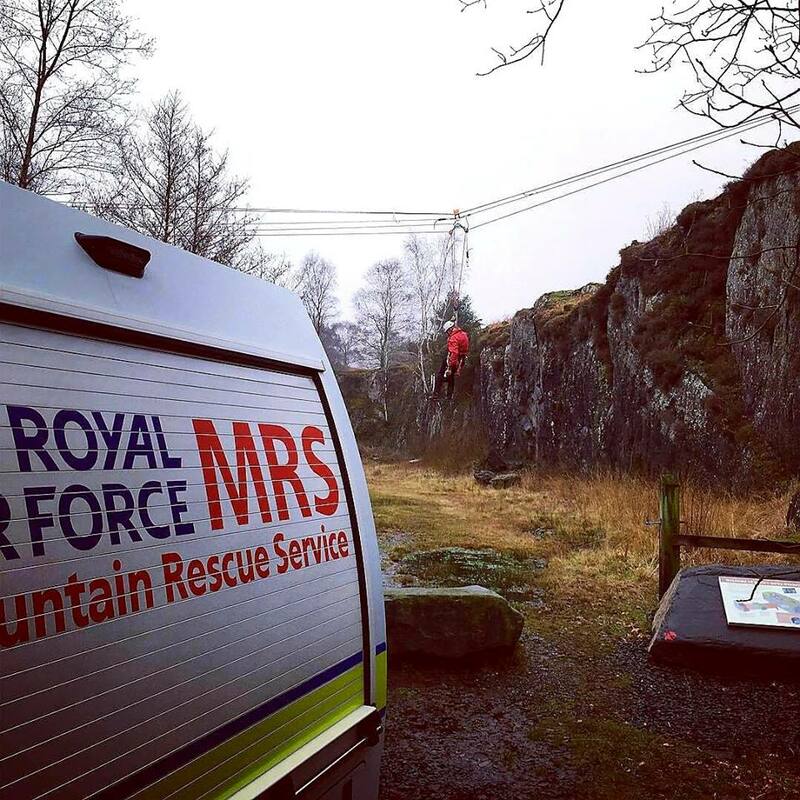 With teams located at RAF Leeming, RAF Lossiemouth & RAF Valley, personnel volunteering for MRS duties need not have previous mountaineering experience as instruction in all aspects of mountain rescue are provided by experienced personnel. Full-Time troops are regular RAF Service personnel drawn from across the ranks. Part-Time membership is open to all MOD Form 90 holders (irrespective of Service) at the discretion of the Team Leader of the team that they wish to volunteer at. 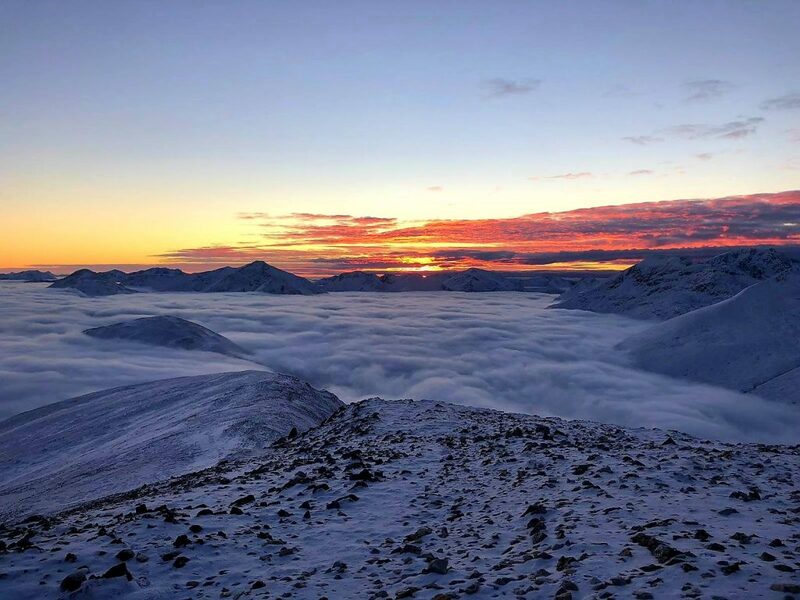 With winter seemingly on its way out, the RAF Leeming & RAF Lossiemouth MRT troops have spent the last few weeks making the most of what snow there is left in Scotland on each team’s respective ‘Winter Week’. The MRS Winter Week provides training for the MR troops in the necessary winter skills (from basic skills through to advanced skills) that is required to operate effectively as part of a Mountain Rescue Team during the winter months. 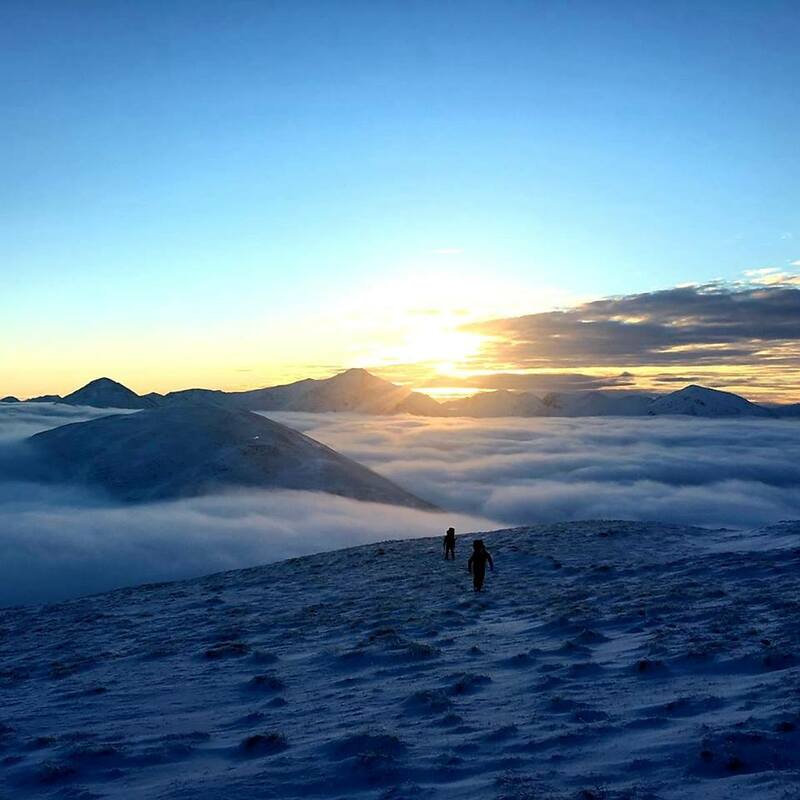 With winter seemingly on its way out, the RAF Leeming & RAF Lossiemouth MRT troops have spent the last few weeks making the most of what snow there is left in Scotland on each team's respective 'Winter Week'. The MRS Winter Week provides training for the MR troops in the necessary winter skills (from basic skills through to advanced skills) that is required to operate effectively as part of a Mountain Rescue Team during the winter months. Whensoever. The RAF Leeming MRT troops spent yesterday with Cleveland MRT, Scarborough & Ryedale MRT and Swaledale MRT to undertake helicopter winch training. 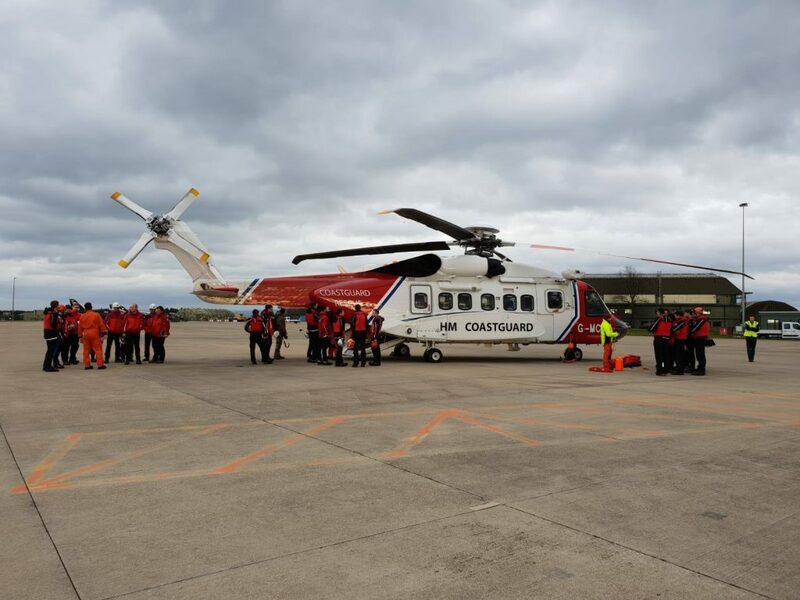 This wouldn’t have been possible without the attendance of Coastguard 912, many thanks to Maritime and Coastguard Agency for their continued support to the troops. 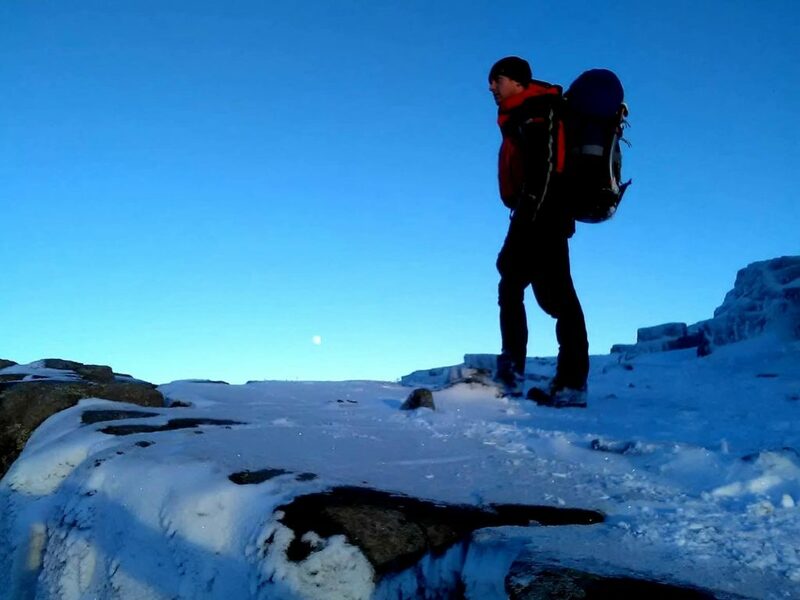 On Wednesday 6th Feb, the RAF Lossiemouth MRT troops responded to assist Assynt Mountain Rescue Team and Dundonnell Mountain Rescue Team in the search and subsequent recovery of 2 persons on Ben Hope. A physically demanding and technical rescue in difficult conditions for all involved. Yesterday afternoon the RAF Valley MRT troops responded to assist the Llanberis Mountain Rescue Team with a callout on Yr Wyddfa. 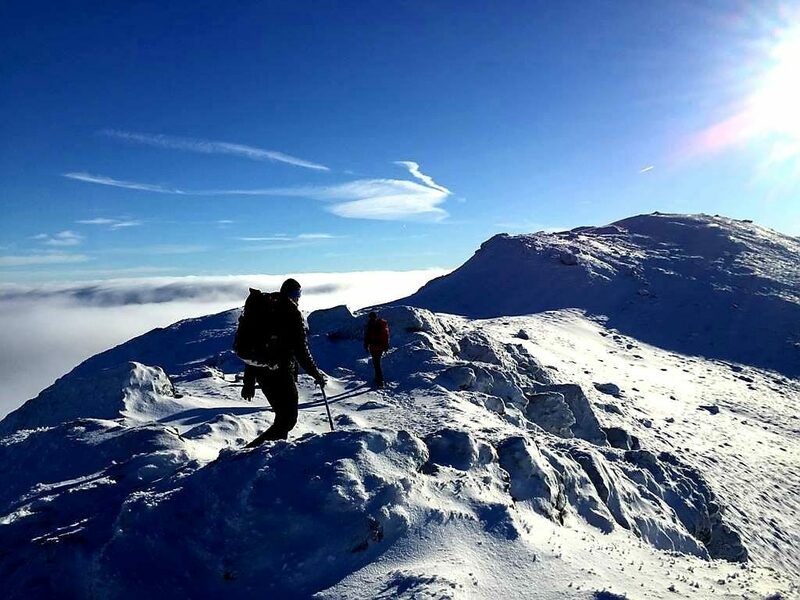 A party of 3, whilst on Right-Hand Trinity on Clogwyn y Garnedd, were caught in an avalanche with a member of the party sustaining a lower leg injury. 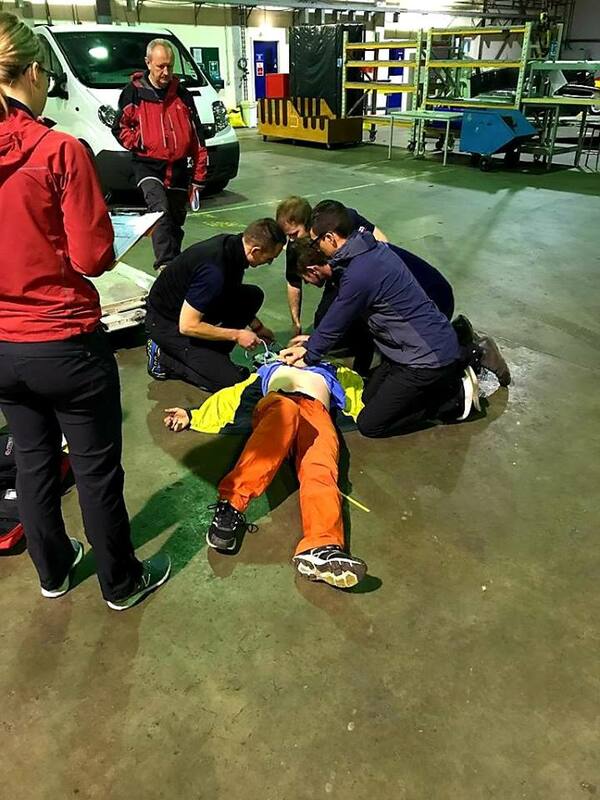 Llanberis Mountain Rescue Team were quick to respond with team members heading to the casualty location where once there they treated the casualty for his injuries and awaited the arrival of the RAF Valley MRT troops who were bringing up the stretchers, cas-wrap system etc. From there, the casualty was packaged and the lowering process began for what was going to be an awkward carry-off. 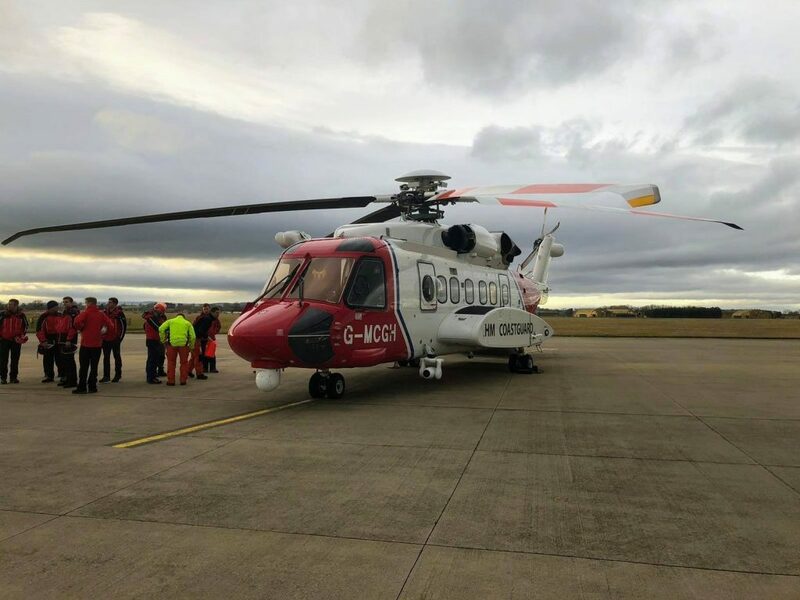 With a break in the weather, Maritime and Coastguard Agency were requested and Rescue 936 were able to position themselves for a successful winch and a quicker evac for the casualty than what was originally anticipated. 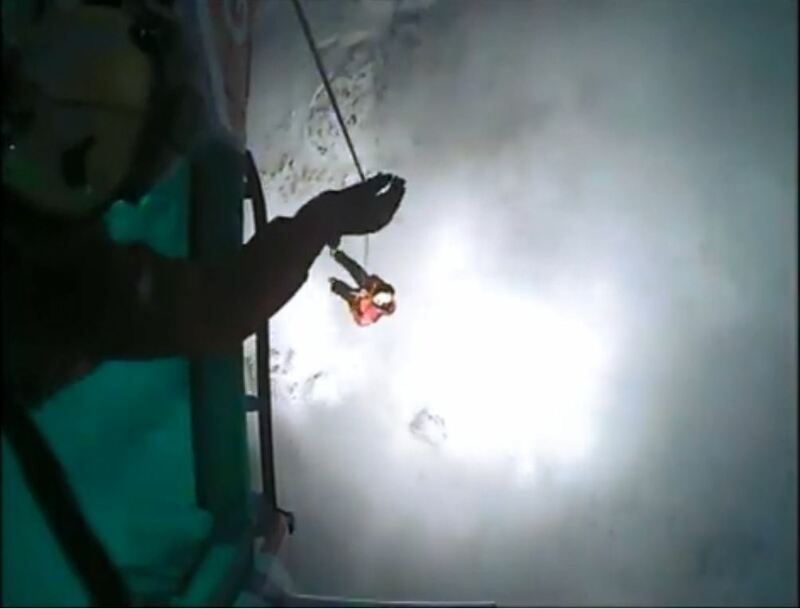 Watch the dramatic moment Caernarfon Coastguard helicopter swoops in to rescue a climber with a fractured leg who was caught in an avalanche on Snowdon. 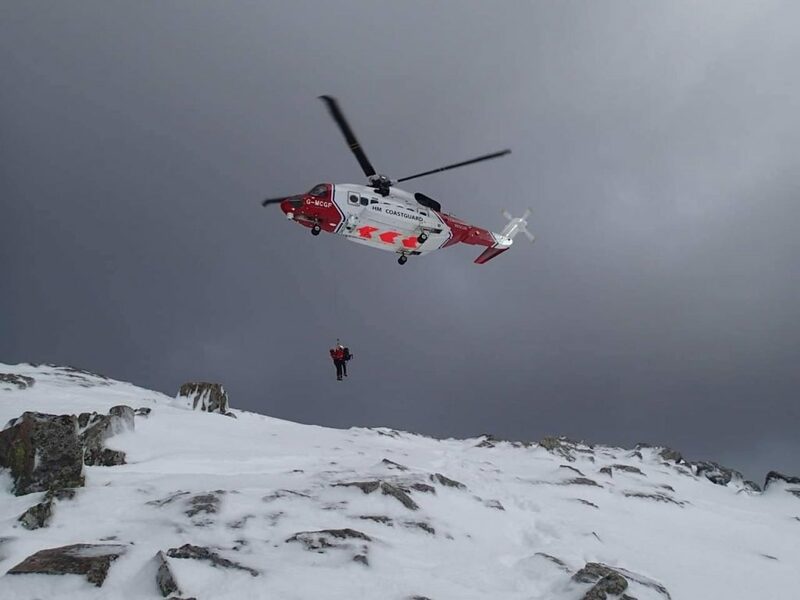 Just after 4.30pm yesterday (29 January) North Wales Police requested HM Coastguard assistance with the rescue after receiving reports that a group of three climbers had been caught in the avalanche resulting in one of them falling 75ft and sustaining a suspected broken ankle. With the assistance of RAF Mountain Rescue Valley and Llanberis Mountain Rescue Team, the Caernarfon Coastguard helicopter was able to safely recover the injured climber off the mountain. Once on board the helicopter, the casualty was taken to Bangor Hospital. 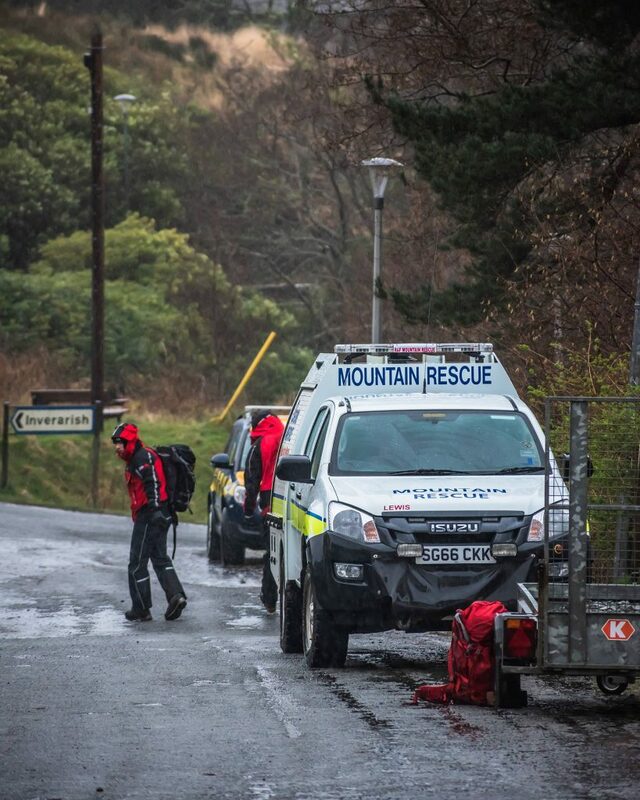 The two remaining climbers were uninjured and were walked off the mountain by Mountain Rescue Teams. 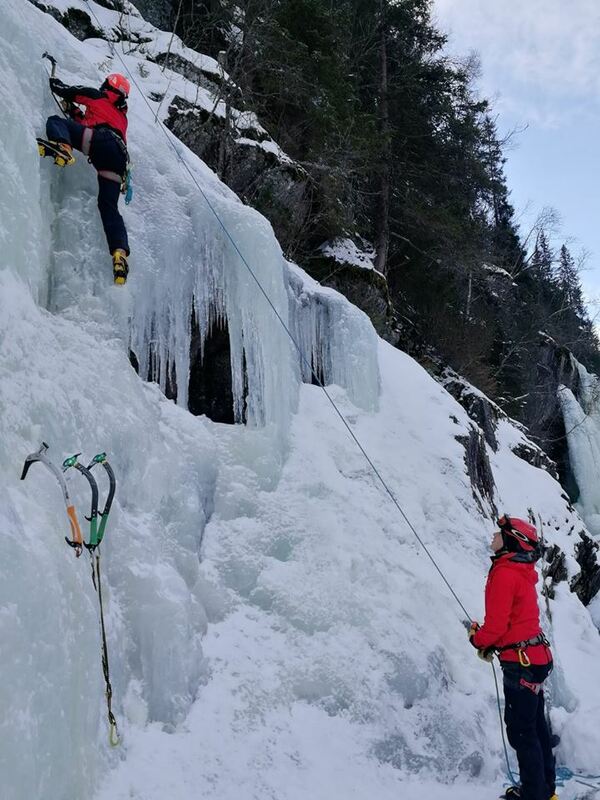 12 troops from across the RAF Mountain Rescue Service have just returned from Ex DEEP FREEZE 2019 in Norway. 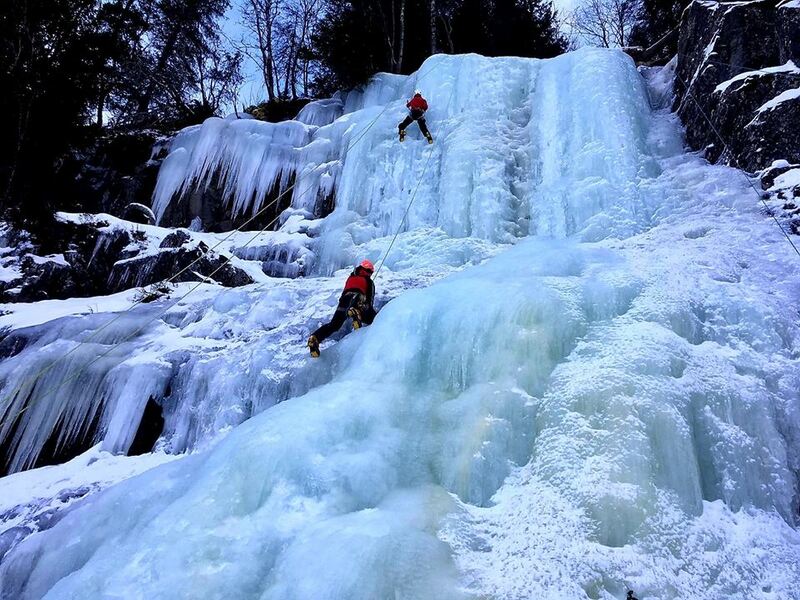 In order to meet the MRS’ winter training requirement for UK Search and Rescue operations, deploying to an arctic winter environment provides a sustained period of concentrated winter skills training. 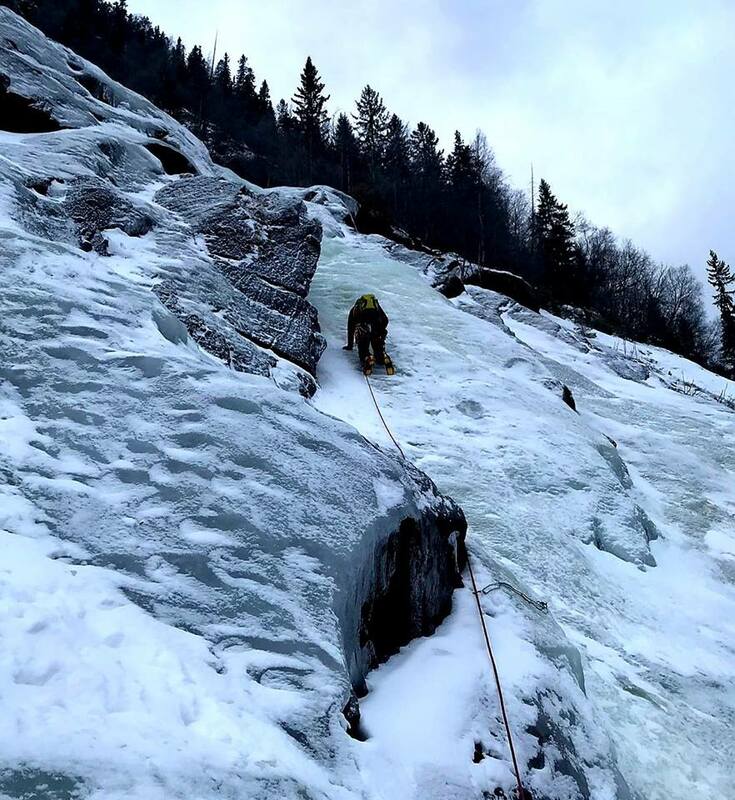 An ideal venue to deliver climbing training for aspiring Winter Climbing Leaders and Instructors, as well as developing rope rescue skills on single and multi-pitch ice climbs. 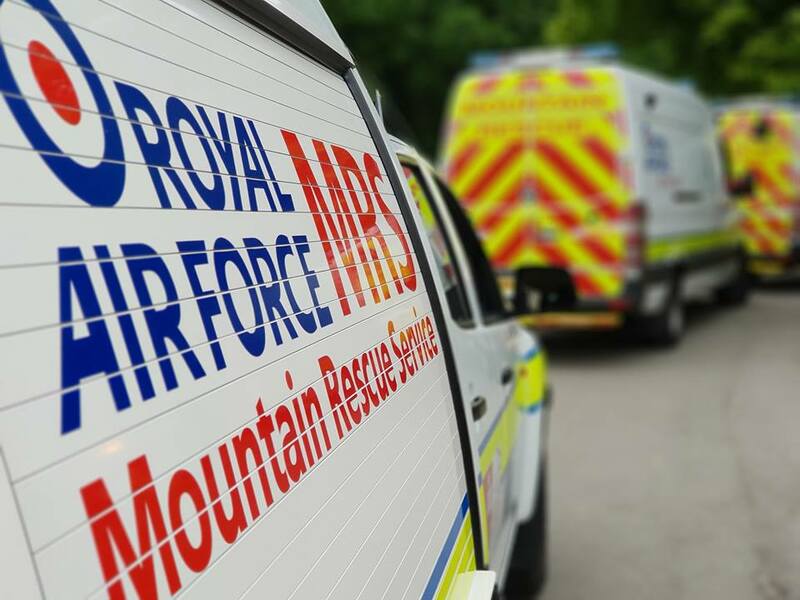 Another busy weekend has passed for the RAF Mountain Rescue Service. 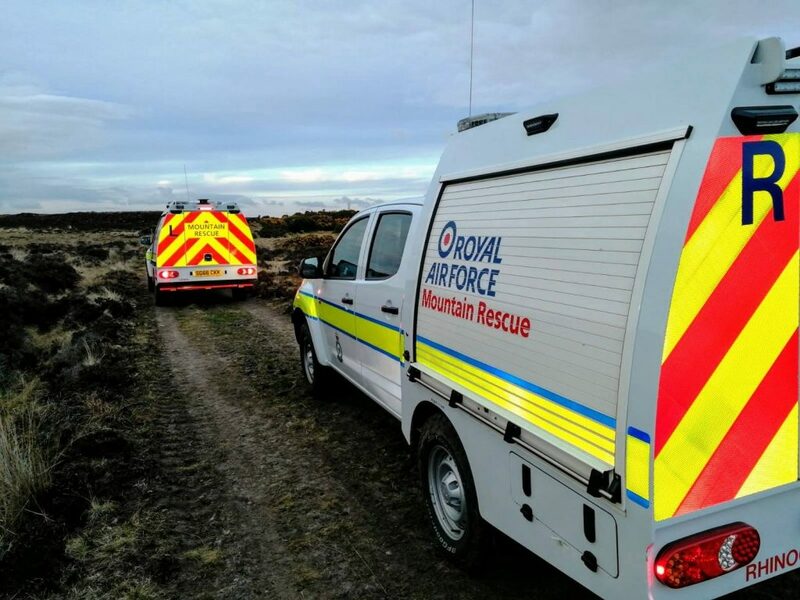 On Thursday, the RAF Leeming MRT troops were put on standby to assist Teesdale and Weardale Search and Mountain Rescue Team in the search for a missing person. Thankfully the person was found safely in the early hours of Friday morning and the team returned to normal readiness, ready to deploy to Scotland for a Joint Exercise with the RAF Lossiemouth MRT troops. Up in the West Highlands, the troops made the most of the weather conditions for some fantastic training days on the hill. The weekend just gone saw the RAF Lossiemouth MRT troops complete the Mountain First Aid course. A course designed to introduce the MR troop to the basic skills needed to assist in treating a casualty on the hill. 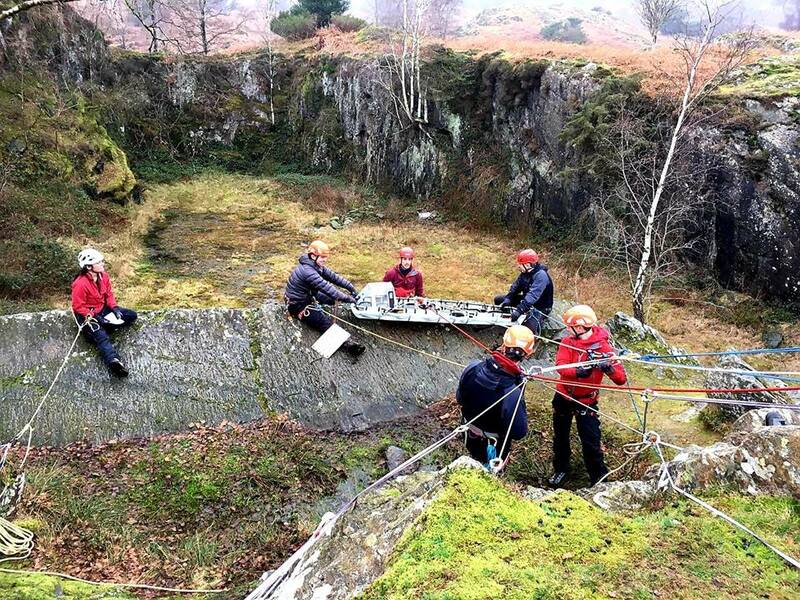 The RAF Leeming MRT’s first deployment of the year saw the troops training in the Coniston area, with one of the days spent going through some technical rescue scenarios.